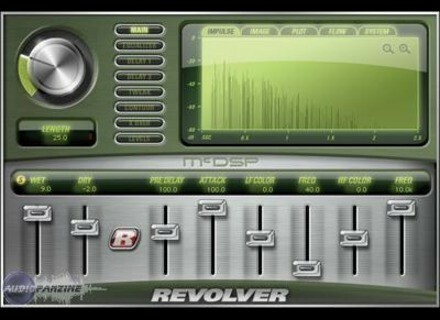 Revolver, Software convolution reverb from McDSP. 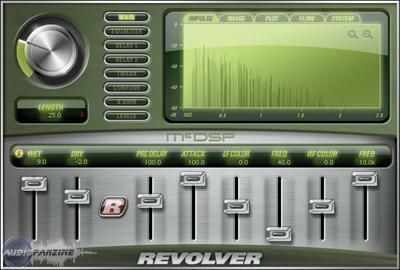 Product replaced by the McDSP Revolver v5. McDSP offers a two-day sale with 50% off its Revolver and ML4000 plug-ins. Until friday, you can get the Revolver convolution reverb native plug-in for $149 and the dual ML-1 limiter and ML-4 compressor/expander/gate plug-in for $115 (native) or $215 (HD). The Audiobus SDK goes public The Audiobus creators have released the SDK for Audiobus and opened the Audiobus Developer Center to the public. iZotope launches a light Nectar version iZotope announces the availability of Nectar Elements, a lighter and more affordable version of its vocal processing bundle. AAX beta versions for XILS 3 and Synthix Xils Lab has updated its XILS 3 and Synthix plug-ins in order to add the AAX format.